i.e. FOV (rectilinear) = 2 * arctan (70/(250 * 2)) = a FOV of 15.93 degrees. From our point of view on Earth, the average angular diameter of the moon is 0.5 degrees. From the Moon, the Earth has an angular diameter of about 1.9 . 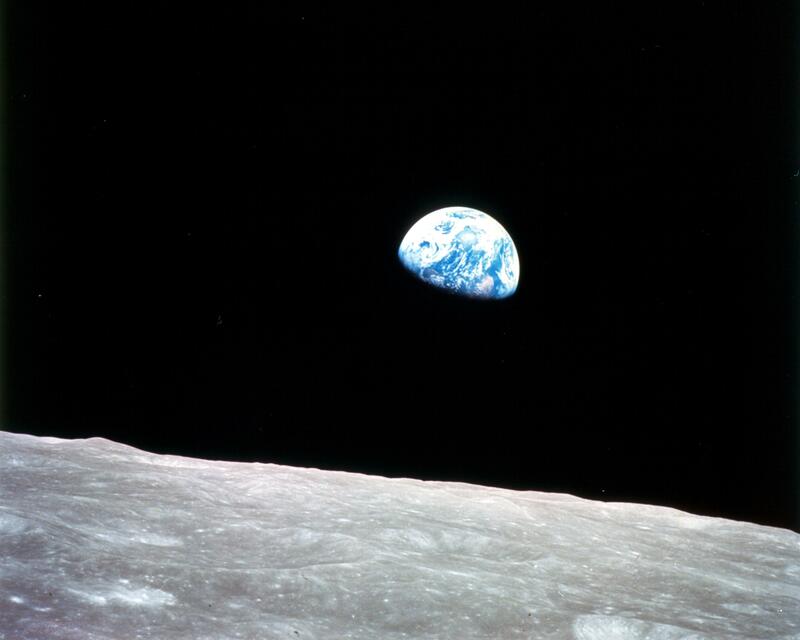 I imagine that this could be further refined by deriving the correct angular diameter of Earth from the exact distance of the moon at the time the photo was taken, as well as the altitude of the Apollo module above the moon. What is your actual question? Are you asking others to confirm your process/formulas? Correct, specifically whether the diagonal fov is always the correct method? No, an incorrect approximation is never "always the correct method". Even with the basic pinhole camera model (the basis for almost all of the better approximations) position on the focal plane is never linear with incident angle. Instead, you draw similar triangles. Here is a simple 2D analogy, usually people use 3D, Projective Geometry and Homography and the matrix math it requires. where $d$ and $f$ are the distances along the optical axis from the source and image plane to the lens pupil, and $w$ and $x$ are distances from the axis to the points on those planes which are perpendicular to the axis. Most higher order methods that incorporate lens distortions star with the pinhole camera approximation, and quantify the imaging system's deviations from it. no arctangents were harmed in the making of the projective plane. Not the answer you're looking for? Browse other questions tagged the-moon photography nasa or ask your own question. What causes the bright white area in this photo of the earth?